So, it’s that time of the year again, where we begin to turn our thoughts for the next office Christmas party. As our companies are based in Brighton, we planned to organise our Christmas Party somewhere in London. This is to break away from the rudimental coastline atmospheric environment that we have every year. But exactly where in London should we hold the Christmas Party? Looking at the Christmas Party event page online, there were many areas of London to choose from. 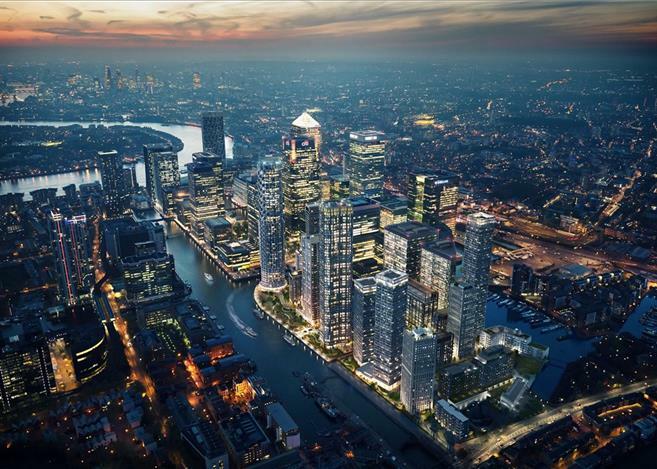 We decided to draw lots on the potential location in London – namely, East London, City of London, North London or South East London. Within the small Human Resource unit, the majority of us lot for East London. So, East London it is! Given this is our first time organising a Christmas Party away from Brighton, we were quite overwhelmed so as to how do we start planning for it. Emma, a colleague of mine, recommended to call up Coachhire4U to sought out for assistance in putting together the Christmas Party to be held at East London. According to her, together with her family, she has had a good experience engaging Coachhire4u coach hire service for a group family outing, a few months back. I rang up the hotline number, introduced myself and shared with the sales specialist on my requirements. We spoke for good half an hour as I had much doubt to clear. Following from the phone call conversation, before days’ end, I received an email from Coachhire4U, providing me with the Christmas Party venue options plus the necessary coach hire arrangements to ferry a group of 50 pax over. In conversation with the organising group, we unanimously select a Christmas Party located nearing to the Isle of Dogs in East London. The party venue that we have come to select is called ‘The Space’ situated at 269 Westferry Rd, Isle of Dogs, London E14 3RS. As the Isle of Dogs is not a far from the River Thames it is an ideal location for the group, as we are naturally attuned with the sight of the ‘watercourse’. And so, we secured our booking. Nearing the actual event date, I received a gentle reminder Coachhire4U on our upcoming bookings. I was quite impressed with Coachhire4U natural delivery of professionalism and good service quality to date. The much awaited day came and long before we know it, we onboard Coachhire4U coach hire – making our way to East London, Isle of Dogs. We had a smooth journey. At reaching at the event venue, we were astounded with the mutli-purpose arts center set in a delightful and architecurally significant 19th Century Presbyterian church. In a joint Christmas party, we were served to Prosecco welcome drinks, a 3 course sit down dinner, after dinner coffee and mince pies and DJ entertainment. Crackers and decorations were decorated all around the venue with the classic Christmas centrepiece. As the night when along, I could see the many happy faces of my colleagues enjoying their time at the party. The night came to an end, and like always, our Coachhire4U coach hire driver was very prompt to pick us back. Ensuring that all our belts were fastened, he drove us back to Brighton. What did last Christmas Party was totally fun-filled and this was with the great help from the Coachhire4U! It was a warm sunny day here in Barcelona, Spain on the 24th March 2016. Having been posted here in this beautiful city for more than a month, it was high time to start exploring the Europe continent. Born and breed from Australia, together with a few of my mates we were posted here in Barcelona, Spain to work on an IT project for a Spanish client. Recalling that the day after tomorrow would be a Good Friday holiday – we are in for a long stretch weekend break. Over lunch, together with the mates, we toy with the idea of getting out of Spain to spend the weekend visiting one or two Europe city. Coincidentally, Ryanair was having a flash deal promotion. After much deliberation by the group, we decided that we spending the long break away from Spain. We decided to visit London and Dublin, spending a night in each city. As we sought out to finalise our air flight and accommodation arrangements – I took the lead to plan for the group itinerary in London while the other mate plan for Dublin. In all, they were about five of us. Given that it will be our first time touring London, I suggested that we hire a private minibus hire to chauffeur us around for the day. This is would definitely save our time. At google search, we chance upon a coach company named Coachhire4U. Looking at the company’s customer reviews, Coachhire4U get over my initial customer buy-in. Within hours of sending my request for a quotation, I received a call from a sales lady. In sharing with her of our time constraint and the budget that we have – she helped us to put a minibus hire tour. Shared with the group mates on the proposed itinenary by Coachhire4U and hire quotation. We were all very much interested in what was presented to us. Our flight from Barcelona will take us to London-Luton airport – somewhere 45min away from Central London. The much-awaited day came; we boarded our plane and landed at London-Luton airport at 8:15 AM. Our flight was held back by close to half an hour due to a technical fault in Barcelona. Nonetheless, we were very pleased when we received a text from Coachhire4U indicating that they were aware of our flight delay and that they will be waiting for us at London-Luton airport arrival point. Clearing the immigration checkpoint we made our way to the arrival point of London-Luton airport. Clad in Coachhire4U t-shirt, the driver waved at us, as we approached his minibus hire. Helping us with our backpacks, he gets us settled in the minibus hire. And so, our tour begins! In total we have about 5 pit stops to make – the London Eye, Madame Tussauds, Buckingham Palace, Trafalgar Square and Borough Market. Coachhire4U driver was very accommodating in acceding to our request for our meals and snack break. After the whole day of experiencing London, its time to head back and rest for our next trip to Dublin. The Coachhire4U driver drops us to our AirBnB accommodations, which were a few minutes away from London-Luton Airport. Although our time in London was short, it was really well spent and this was all thanks to the Coachhire4u team. The fact that there were able to accede to our last minute arrangements proves the company great reliability and service. Coachhire4U, a company you can trust. 6,800 miles away from my home in Singapore, 14 hours by plane, I was off for my maiden trip to London, United Kingdom (UK). I was ecstatic to be given the opportunity do a semester of my postgraduate course abroad under the Singapore Management University (SMU) student exchange programme. Together with several of my peers, we will be attached to King’s College London for a period of four months. To prepare myself for the trip, I did some research on what to expect in the UK – for example, the country’s climate, culture, system and much more. And also the key itinerary that is going to take place on our arrival to the UK from London Heathrow Airport (West of London) thereon. On board, the Singapore Airlines flight, our group landed the London Heathrow Airport (West of London) close to 7:00AM in the morning. To our astonishment, London Heathrow Airport (West of London) was buzzing with life in such an early morning and on a weekday too. We grabed a quick breakfast while waiting for our coach which had been hired to pick our group up at the arrival zone of the London Heathrow Airport (West of London). At 8:00AM sharp a friendly coach driver from Coachhire4U greeted us. He prefered to be called by the name of Marvin; he had been driving coaches with Coachhire4U for more than three years. Making sure that we were all strapped into our safety belts, he then whisked us to our first destination – King’s College London. During our coach hire journey, Marvin was kind enough to share with us a little bit history and he was very funny. He also shared with us several of the popular destinations in London visited by Coachhire4U tourist passengers. Some of the top tourist attraction in the City of London includes the Big Ben, London Eye, Trafalgar Square, Buckingham Palace, plus the amazing West End of London and much more. Marvin shared with us that should we ever need private minibus hire, we could always ring up Coachhire4u and for coach hire or minibus hire. We approached the West End of London which Marvin advised was a major shopping are and we saw Marble Arch, Piccadilly on our approach to the Strand it was amazing to see these famous landmarks in the West End of London and Marvin told us about sights in the City of London. Throughout the coach journey to King’s College London, I was amazed at the beautiful sights of London. Our coach driver, Marvin made a drive through the Westminister Bridge to show us the iconic Big Ben and London Eye from afar. Like any excited tourist would be, we whipped out our mobile phone to take several snapshots of the iconic monuments. The King’s College of London that we were heading to was situated in Central London – this making it easier for us to explore London during our spare time. On arrival to our destination, we welcome by the University Ambassador to facilitate us with registration and arrival briefing. At days’ end, we were back onboard to Marvins coach, this time round, for him to ferry us to our student’s accommodation. As it what nearing dinnertime, Marvin made a short stop to an eatery place for us to get our dinner. Settling into our accommodation place, our first day of the London UK experience has been memorable from landing at London Heathrow Airport to reaching a much needed first sleep. Aside from the University ambassadors and the member of university staff, our experience on board Coachhire4u’s coach with Marvin was a memorable event highlight. He went out of his way to provide us with a great first experience of London and the UK. We will definitely be ringing up Coachhire4u for our private hire to tour London very soon! Hiring a coach in London? To help us with quotations for minibus and coach hire, please include the correct London Postcode in your enquiry. Quotations are instant via our on line quotation system or speak to one of our team if you would like more assistance. If you would like to hire a coach or a minibus for any other location in the South East or the UK, then please contact our dedicated coach hire team and we will be happy to help. We look forward to the opportunity of supplying you. You are currently browsing the Coachhire4u blog archives for December, 2016.